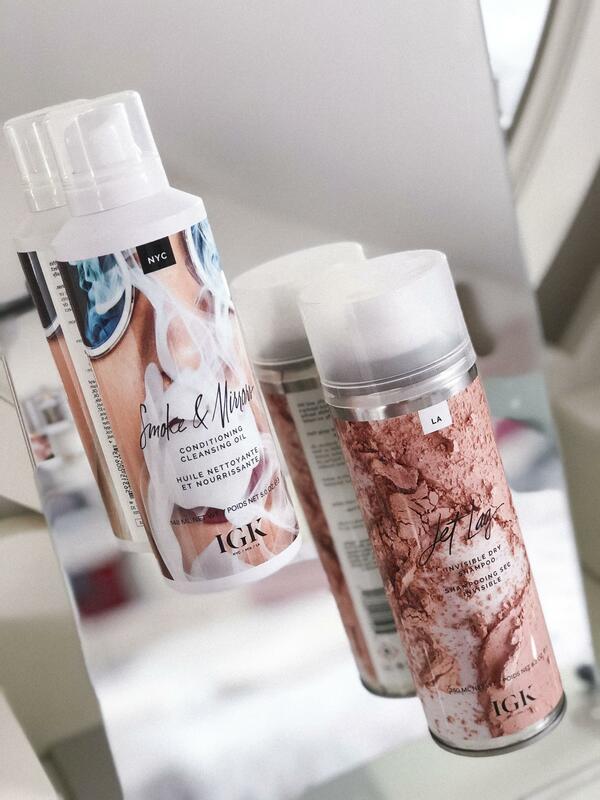 Why IGK Is the hair brand that is going to takeover your Instagram, if it hasn’t already. 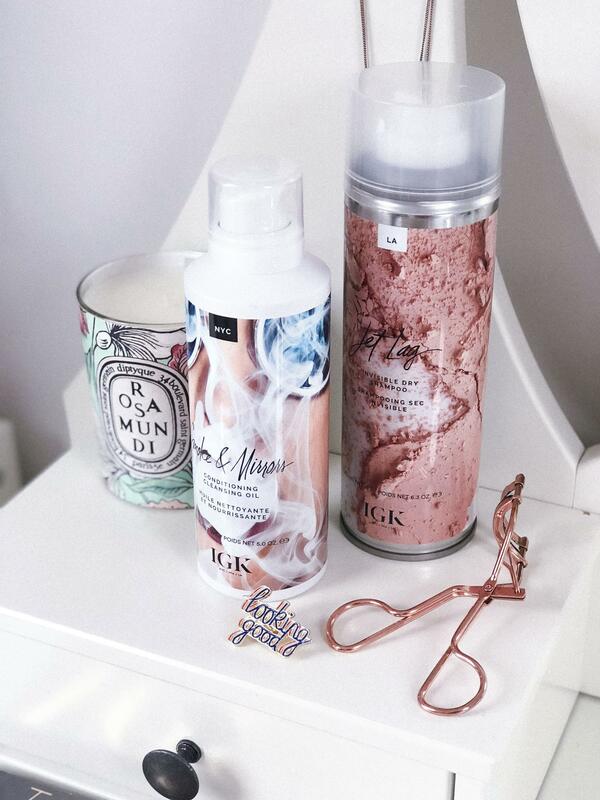 If you don’t know anything about IGK and wonder why it’s all over your Instagram, then here’s the debrief about the cult hair brand from over the pond. IGK is a hair brand born and raised in the states by 4 Global hairstylists; brothers Frank and Leo Izqueirdo, Aaron Grenia and Chase Kusero, they’ve worked on celebs such as Jared Leto (THAT hair bun was created by Chase), Lana Del Ray and designers such as Givenchy. It’s the ultimate brand for the modern generation, with one rule that is to have fun with their products. I discovered the brand whilst on my latest trip to New York in September ’17, picking up the Jet Lag dry shampoo and Smoke and Mirrors Conditioning Cleansing Oil, I truly wish I’d brought the whole range. They have 3 signature scents, Miami, New York and LA which have been inspired by the founders and their signature city. I’ve only tried the NYC and LA scent and they’re both gorgeous. The whole range of hair products are; Conditioning and Colour safe, UV and Heat protecting, Gluten free, Cruelty free and Vegetarian, have no parabéns or sulphates and are formulated without mineral oils. This dry shampoo is like no over i’ve ever tried. It was designed to boost volume and add body whilst leaving a touchable texture, It’s invisible and extremely light weight – perfect for coloured haired gals. Key ingredients: Volcanic Ash, which exfoliates to cleanse and purify the hair and Ginger Root Extract, softens and adds shine to the hair. The LA scent is my favourite out of the two i’ve tried, it’s refreshing and uplifting which is ideal for no-wash days. A product I wasn’t sure on to start with but it has definitely grown on me the more I use it. It is supposed to replace the normal two-step washing process, I’ve found that the best way to use it is to really take the time to massage it into the roots, mid-lengths and ends and let the oil melt in. This is the perfect product for those with dry and damaged hair, also amazing for bleached hair because it doesn’t weigh the hair down but leaves it nourished, cleansed and healthy looking. The NYC scent is also refreshing but a bit deeper than LA, i’d be intrigued to see how this scent works with the other products. A Coconut oil infused gel, designed to create hydrated lived in, undone hair. Can be used on towel dried hair or as a serum on dry hair. Key ingredients: Coconut oil to nourish and strengthen, Comfrey Extract + Lemongrass to soften the hair and stimulate the scalp. This is defiantly one of the first products that I’m going to pick up. Super hydrating for dry and damaged hair, perfect for bleached or coloured hair. Key ingredients: Litchi Extract (Lychee) to protect hair from pollution damage. Vitamin E conditions and makes the hair stronger. 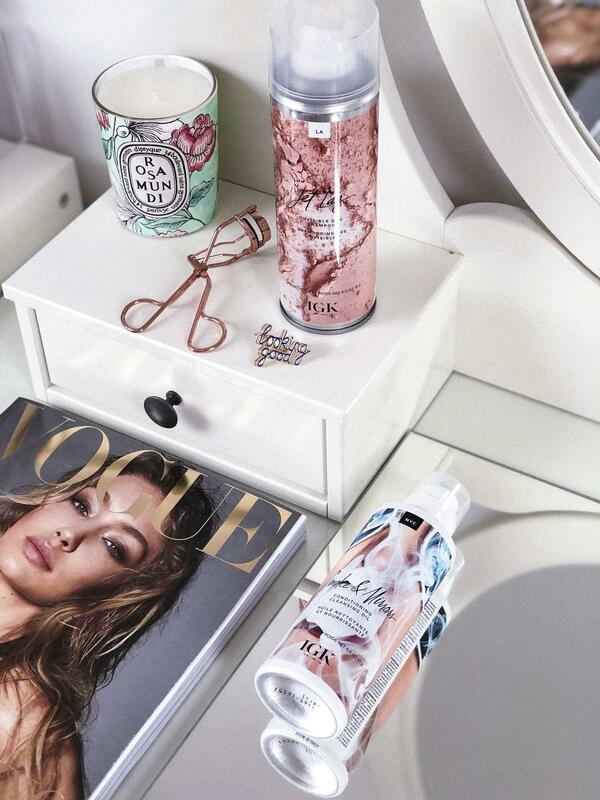 The Miami scent of Guava, Coconut water, Pink Lotus and Vanilla sounds heavenly. Very similar to Oribe dry Texture spray I imagine, however this can be used on wet hair to add texture. Key ingredients: Glycerin which is a natural humectant that locks in moisture, prevents from drying. Hydrolyzed Wheat Protein adds body and volume. Leave-in conditioner with natural coconut oil to tame frizz, soften and detangle the hair. Key ingredients: Shea Butter adds deep moisture to the hair to prevent drying. Argan Oil nourishes and strengthens the hair. Holographic hair? Yes please. Shade-shifting, glitter-packed foam infused with vitamin-rich blue sea kelp extract and moonstone extract for a cosmic, iridescent reflection that goes from subtle shimmer to full out holographic. Available in two shades: Meteor – Goes from blue to purple as your hair moves in the light. Moon Rock – Goes from pink to teal as your hair moves in the light. Another thing to mention are the names, they’re so inventive and the names alone make you want to buy the products. So, after falling in love with the products I’ve tried, I’ve been itching to get my hands on more IGK products. – With my Sephora basket full of products and my heart wanting so badly to press buy now, i’m so glad I waited for it to be realised over the pond and within one of my favourite stores, Space NK. I hope i’ve made the IGK takeover a lot more clearer for those who don’t know about the brand and hopefully made you want to purchase a few items too. 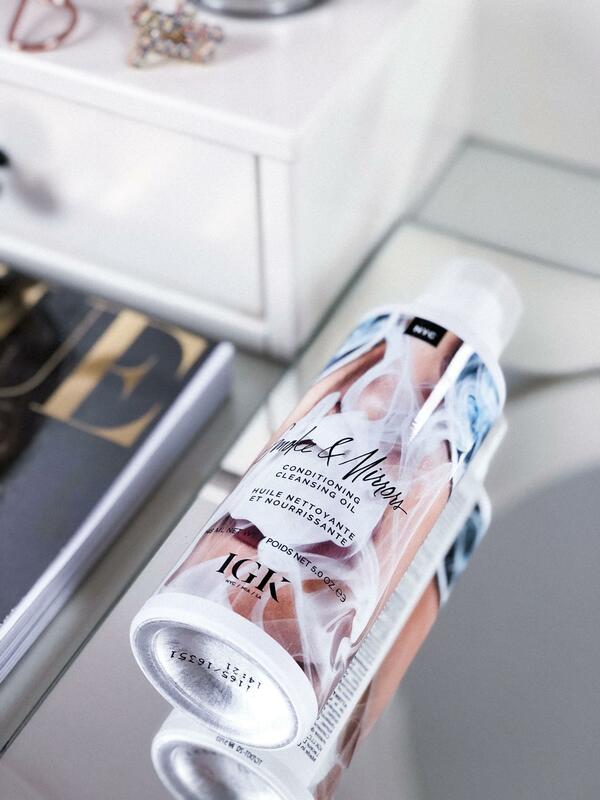 Have you already tried IGK or are you itching to make that first purchase? Let me know what you’ve tried or longing to try.